Willow Windows is now offering a new security locking system on all Double Glazed uPVC windows products. We have gone with the new security locking system to increase the durability and value you receive by dealing with Willow and our high-quality products. 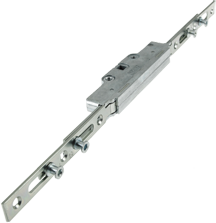 We are now offering the Yale Blade Bi-Directional Window Lock on all our new orders. This improved security locking blade has aluminium construction, providing enhanced security, longer life expectancy and simplified installation and maintenance. The Yale Encloser window lock delivers Secured-by-Design security with extremely fast fitting and absolutely no cropping. It's designed to work with all our uPVC window products at Willow Windows.